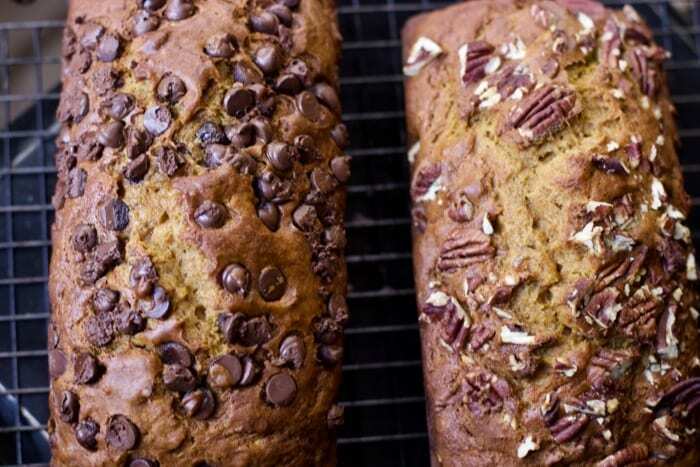 It is fall and what a better time of year to mix up your traditional banana quick bread with some canned pumpkin. 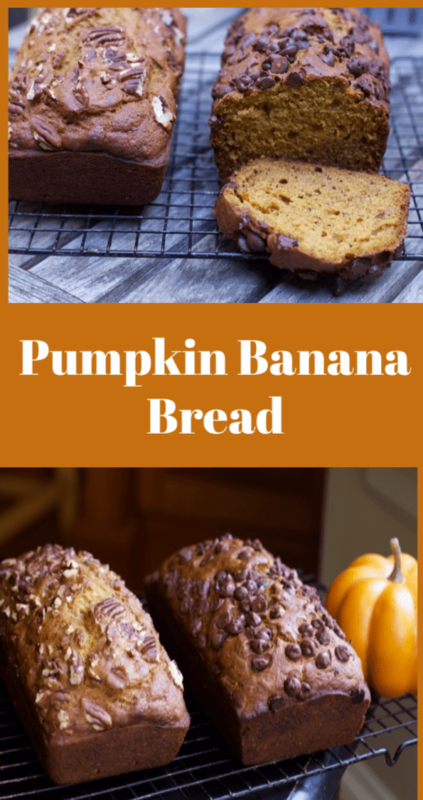 Double the fruit content with this amazing combination to create this Super Scrumptious Pumpkin Banana Bread Recipe. 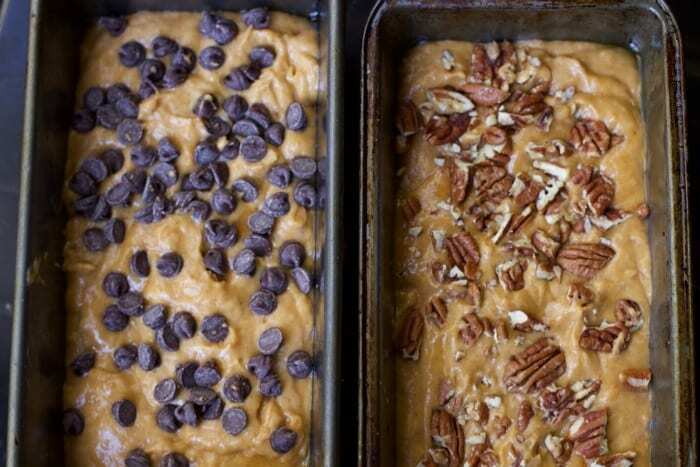 Quick breads take no time to prepare. The longest part of making quick breads, is the baking. Don’t have 45-60 minutes to bake the bread, make them into muffins and cut the time in more than half. Baked up goodness. I am not sure if I consider this a breakfast treat, a dessert or just a snack bread. Freeze the loaves for later as well. They freeze so nicely and come in handy during the busy holiday season. 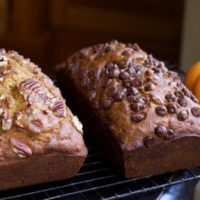 Pumpkin and banana bread is a first for me, but not a last. I think I gobbled up a loaf on my own. It is great with a smear of cream cheese. 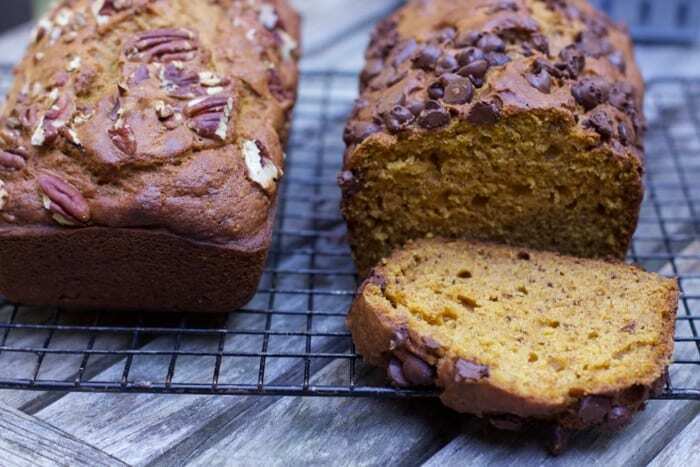 This scrumptious and easy pumpkin Banana bread recipe is the best quick bread for fall. Preheat oven to 350ºF. Grease two loaf pans, (8x4 or 9x5). Whisk flour, baking soda, salt, baking powder, and spices together. In another bowl, beat sugars, oil, and eggs until combined. Add pumpkin and banana; mix well. Stir in flour mixture. Cool in pans for 5 minutes. Run a knife around the edge and pop out of pans. Cool on a wire cooling rack. Serve warm or at room temperature. Wrap bread in foil to store. 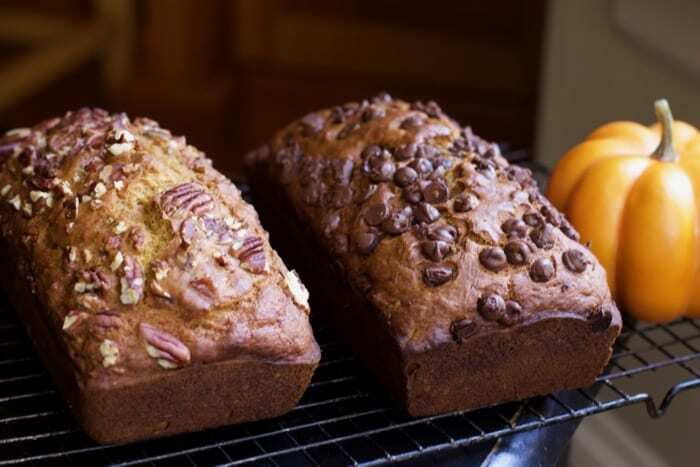 What is your favorite fall quick bread combination?